Have you ever rented a car? Did you wash it? Did you change the oil? Probably not, because it didn’t belong to you, right? That’s how Lee Edwards, The Greenery’s CEO explains the difference between working at an employee-owned company and working for someone else. The Greenery, now celebrating 45 years in business, is also celebrating its tenth year as a 100 percent employee-owned company, meaning that every employee has a vested interest in the daily operations and bottom line. Employee ownership also means workers take better care of their company and their customers. 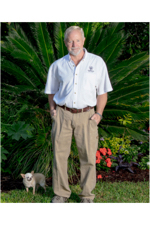 The business, founded in 1973 by Edwards’ parents, Berry and Ruthie Edwards, started with six employees and a couple of old pickup trucks, is now one of the largest and most highly respected landscape companies in the country. Over the lifespan of a business there comes a point when a transition of ownership becomes inevitable, Edwards explained. As his parents prepared to retire, rather than simply sell out, they opted to give back to their loyal employees by creating an employee stock ownership plan (ESOP)—a process they began in 2003 and brought to fruition in 2007 when they formally exited the business and The Greenery became 100% employee owned. An employee stock ownership plan (ESOP) is an employee-owner program that provides a company’s workforce with an ownership interest in the company. In an ESOP, companies provide their employees with stock ownership, at no upfront cost to the employees. ESOP shares, however, are part of employees’ remuneration for work performed. Shares are allocated to employees and may be held in an ESOP trust until the employee retires or leaves the company. The shares are then bought back by the company for redistribution. “We try to explain to our employees why we do what we do,” Edwards said. “Being profitable is a result of being in business. Yes, we want to make money. What we do is make places beautiful. We build, we maintain, we plant flowers, we cut grass. But why do we do it? Because it makes people happy! We enhance their lives by providing beautiful landscaping. According to Edwards, employee owners are more accountable for their job performance and their fellow workers’ job performance, because they have a personal interest in the company’s success. And when employees act as owners, the service they provide is going to reflect that mentality. “When we are in somebody’s yard or on public property, we are there to enhance lives—to make it beautiful but also to make them happy,” he said. “For employees, that means you smile; you say hello. Our customers and visitors to the area don’t want some surly guy with a blower. Turn the blower down. Speak. Drop what you’re doing. Help with directions or find someone who can help. It’s those little things that make all the difference. 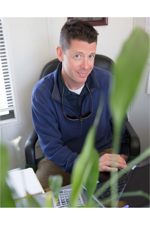 Lest you think Edwards sits atop the mountain issuing orders, a look at his backstory suggests an understanding of every aspect of the landscaping business and genuine respect for his co-owners, making him the ideal person to propel the company forward. He began his landscape experience as a young boy, helping out at his parents’ business throughout his high school and college years. After graduation from Tulane University in 1990, lived and worked in the Caribbean, Central America and Colorado. 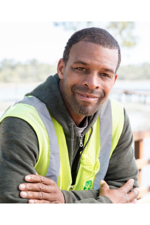 Along the way he expanded and developed his skills both in landscaping and in life, before returning to Hilton Head Island to run the construction department at The Greenery in 1994. 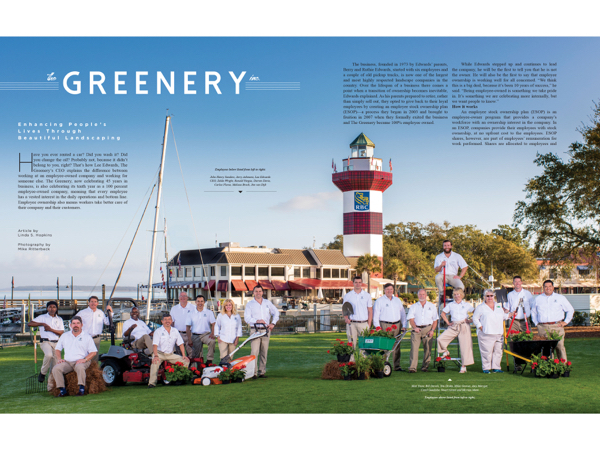 Five years later he opened The Greenery of Charleston and built that company into the largest landscape company in the area. In 2006 he returned to Hilton Head to take the reins when his father decided to fully retire. “There’s nothing I ask people to do here that I haven’t done myself,” he said of his career in the industry. Learn about The Greenery’s complete landscaping services as well as employment opportunities at thegreeneryinc.com. Visit the retail garden center and antique shop at 960 William Hilton Parkway, or call (843) 785-3848 for more information. What I like best about my job: It’s my hobby. I go to work to do what I love, therefore I go to work happy every day. What employee-ownership means to me: It means a lot knowing that I have a stake in it. While I’m here, I’m taking care of it as my own. When I retire, it will take care of me. What I like best about my job: Meeting new clients and transforming their landscapes. What employee-ownership means to me: The feeling of ‘family’ that we have working together as co-owners. I’ve never been employed by a company where people work so well together! What I like best about my job: I enjoy educating people of all ages about plants. 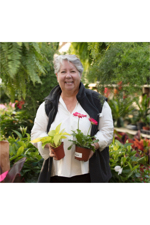 Plants are a bright spot in the day and have a way of lifting your spirits. What employee-ownership means to me: It means having pride in your work and being rewarded for the good work you do. It’s a great honor to be in the program, and I appreciate the benefit I receive. What I like best about my job: I like working with a group of people and getting along with people. I love the company, because they are so good to me and my family. What employee-ownership means to me: Ownership means looking out for others and doing what’s best for the company. If we work together, everything’s going to be all right. What I like best about my job: I enjoy many things, but the most satisfaction I have is when I am training somebody else—seeing the potential in them. What employee-ownership means to me: I want to make our clients happy, because it will bring more business, and that means we’re going to be more profitable. I’m very proud to work for this company, and it’s great to be part of the economy. June 2013 Editor's Note: It's Showtime!